This article was last updated Aug 02, 2016, but some terms and conditions may have changed or are no longer available. For the most accurate and up to date information please consult the terms and conditions found on the issuer website. If you want to earn the most United miles, the best bet for you might not be a card that says United on the front. What might surprise you — a credit card with high earning power for United MileagePlus® miles is actually the Chase Sapphire Preferred® Card. It earns Chase Ultimate Rewards® points which you can transfer 1:1 instantly into any United MileagePlus account, as well as Southwest Airlines, British Airways, Hyatt, Marriott, and more. You can earn 2X points on travel and dining at restaurants & 1 point per dollar spent on all other purchases worldwide. The annual fee of $95, is unfortunately not the same as United’s most popular card, the United℠ Explorer Card at $0 Intro for First Year, then $95. The United℠ Explorer Card’s value comes from travel benefits not available with the Chase Sapphire Preferred® Card, with a free first checked bag, priority boarding, and ability to waive the spending requirement for Premier status. 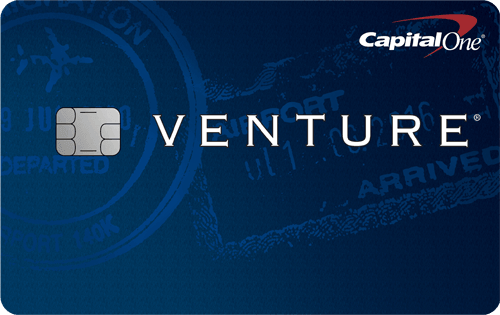 We carry both – the Chase Sapphire Preferred® Card as the ‘go to’ credit card for everyday spending, and United℠ Explorer Card for the travel benefits. Chase Sapphire Reserve® – offering mile transfer to other programs and 3X points on travel immediately after earning your $300 travel credit. 3X points on dining at restaurants & 1 point per $1 spent on all other purchases. $0 foreign transaction fees. There are different versions of the above cards for business owners and you can review the options here. Only Chase cards earn full value MileagePlus® miles, and we think it’s one of the better programs for redeeming miles. An independent study found MileagePlus had the most reward seats available among the global U.S. carriers. United miles are especially useful for getting to international destinations in Economy Class, tickets that normally cost $1,200 or more in cash, thanks to its easy online award search and lots of Star Alliance partners for international travel. If you’re serious about the flexibility of the points you earn — this is the card for you as it offers unmatched flexibility and good earning power. The Chase Sapphire Preferred® Card earns points in a neutral currency — Chase Ultimate Rewards points – and these points are special because you can transfer them 1:1 online into United miles, as well as your point accounts with Southwest Airlines, British Airways, Hyatt, Marriott, IHG® Hotels, Virgin Atlantic, and Air France. That way you’re not stuck if United doesn’t have award flights available on the dates you want to the places you want to go. There is no fee for the transfer and it’s usually instant so you can add to the miles you already have in your airline and hotel accounts at any time. No foreign transaction fee is another benefit. 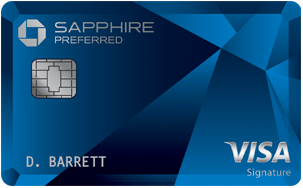 What you sacrifice with the Chase Sapphire Preferred® Card is the free checked bag, priority boarding, and elite upgrade eligibility on award tickets of the United℠ Explorer Card. Right now, the intro bonus may be enough on its own to try the card. Note: If you spend more than $3,000 a year on travel or dining expenses, you might want to consider the Chase Sapphire Reserve® instead. It has the same features as the Chase Sapphire Preferred® Card, but offers 3X points on travel immediately after earning your $300 travel credit. 3X points on dining at restaurants & 1 point per $1 spent on all other purchases. $0 foreign transaction fees. Plus a $300 annual travel credit that can be used to cover airfare, and Priority Pass lounge access. The catch is a $450 annual fee. When you consider the $300 travel credit, holding the Chase Sapphire Reserve® costs about $55 more than holding the Chase Sapphire Preferred® Card each year. Basically, the math on the Chase Sapphire Reserve® works out better than the Chase Sapphire Preferred® Card if you spend around $3,000 a year on travel and dining. This card is good if you are not quite an elite member flyer with United but plan to fly them a couple times per year or more while checking baggage. The biggest benefit for you will be the free checked first bag for you and a companion — which can save each of you $50 round trip. So in one trip for two that involves a checked bag, you’ve saved the annual fee of $0 Intro for First Year, then $95. This benefit doesn’t matter much to Premier level flyers (people who fly 25,000 or more miles per year on United), as they already receive a baggage fee waiver. Also keep in mind in order to get the free bag benefit you have to buy your United ticket with your United℠ Explorer Card, and you have to be flying on the ticket to qualify. You can’t buy a ticket for someone else to fly and give that person the free bag benefit. The other benefit for the non-elite flyer is priority boarding. Again, elite flyers already enjoy this benefit, but if you travel several times per year this can give you a chance to get your bag in the overhead bin before general travelers board. You’ll board in Group 2, which puts you in the same group as some of United’s frequent flyers, but behind people in First Class and its most frequent flyers. You’ll be able to qualify for your usual Premier complimentary upgrades on miles tickets when holding this card. Normally, when you buy a ticket with miles you aren’t eligible for the free upgrades they receive on paid tickets as a Premier member, but United lets holders of the United℠ Explorer Card get around that rule as a benefit of being a cardmember. Just remember if you are not an elite flyer, having this card will not make you eligible for free upgrades. Primary car rental insurance. If you have damage to your rental car, you don’t need to file a claim with your insurance first, this is a feature once reserved for only very high end credit cards. Hotel upgrades and benefits. If you book a hotel via www.lhrcollection.com you receive 1) daily breakfast for two, 2) a room upgrade, 3) early/late check-in and check-out, and 4) a special amenity like spa credit. Lounge club passes. You receive two single use United ClubSM lounge passes with the card, letting you use the lounge while on a future trip. 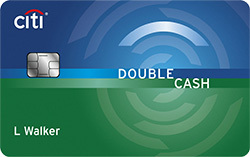 The information related to the United℠ Explorer Card has been collected by CompareCards and has not been reviewed or provided by the issuer of this card. The biggest reason you’ll carry this card — you want full unlimited access to United Club lounges. The $450 per year can be cheaper than buying the lounge access on its own, which is as high as $550 per year. We think it is a good choice for regular business travelers who may or may not have elite status with United — basically someone flying 10,000 up to 50,000 miles per year. If you’re not yet elite, you’ll value the ‘PremierAccess’ early boarding and security lanes (things elites already enjoy). It also earns 1.5 miles per dollar spent on the card – a 50% bonus – in all categories with no limits. That makes it the most powerful credit card now available for earning United miles. Hyatt status. Offers you late checkout and select room upgrades. The information related to the United MileagePlus® Club Card has been collected by CompareCards and has not been reviewed or provided by the issuer of this card. We personally use the Chase Sapphire Preferred® Card most often because we value maximizing mile opportunities — and we’re elite flyers who already get free bags and priority boarding. But we also carry the United MileagePlus® Club Card for the lounge access.